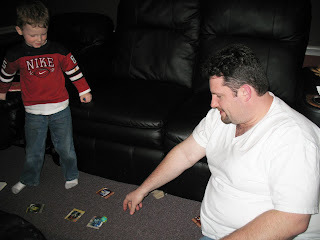 Janine's P365: Day 28- Bakugan...getting Daddy to join in! Yep, you are still super involved in Bakugan and when Daddy came home from work you wanted him to play along with you so the two of you played with the toys together while you watched an episode. You two were adorable to watch!